Many families with HH and other refractory (difficult to treat) seizures search for options other than medications at some point in their treatment plan. For HH patients and many others – the anti-epileptic drugs (AEDs) are not only NOT helpful, but the side effects can be unacceptable. Those may include: memory loss, fatigue, behavior issues, depression, confusion, and toxicity. At some point, many families ask about alternatives, and for some, that may be Diet Therapy. One such diet is the Ketogenic Diet (Keto Diet). The typical "classical" ketogenic diet, called the "long-chain triglyceride diet," provides 3 to 4 grams of fat for every 1 gram of carbohydrate and protein. That is about 90% of calories from fat. Usually when the classic ketogenic diet is prescribed, the total calories are matched to the number of calories the person needs. For example, if a child is eating a 1500 calorie regular diet, it would be changed to a 1500 calorie ketogenic diet. For very young children only, the diet may be prescribed based on weight, for example 75 to 100 calories for each kilogram (2.2 pounds) of body weight. If it sounds complicated, it is! That’s why people need a dietician’s help when using this diet. A ketogenic diet "ratio" is the ratio of fat to carbohydrate and protein grams combined. A 4:1 ratio is more strict than a 3:1 ratio and is typically used for most children. A 3:1 ratio is typically used for infants, adolescents, and children who require higher amounts of protein or carbohydrate for some other reason. The kinds of foods that provide fat for the ketogenic diet are butter, heavy whipping cream, mayonnaise, and oils (e.g., canola or olive). No other sources of carbohydrates can be eaten. The diet is sometimes started to help reduce or even stop anti-seizure drugs. However, that does not always occur – often it is a “partnership” between drugs and food to help reduce seizures that works. Does it work on children or adults with HH? There have been individuals with HH that have tried the Ketogenic Diet, with mixed results. As we know, every patient is unique and each reacts differently to both diet and medications. In today’s blog, we want to share one of the success stories – in hopes that it might educate and possibly encourage others to investigate and learn more about the pros and cons of the diet for themselves. There are significant challenges with sticking to the diet and it also has a set of side effects that some find concerning. It is always an important that you do your own research and consult a professional that is well versed in the diet and its implementation. There are many resources available to patients and families and we will include some of those below. After Eli’s second laser ablation brain surgery he continued to have various kinds of seizures. He no longer had the gelastics from the hamartoma, but he had daily myoclonic seizures and simple partial seizures. He would have clusters of tonic-clonic seizures about every two weeks. We were hospitalized on a couple of occasions. We tried various drug combinations, changing often due to difficult side effects or lack of effectiveness. Our doctors in Texas who performed the laser ablation surgeries had no further advice for us, stating that they took care of the hamartoma and that perhaps it had taught other parts of the brain to seize. We would now just treat him as having epilepsy. 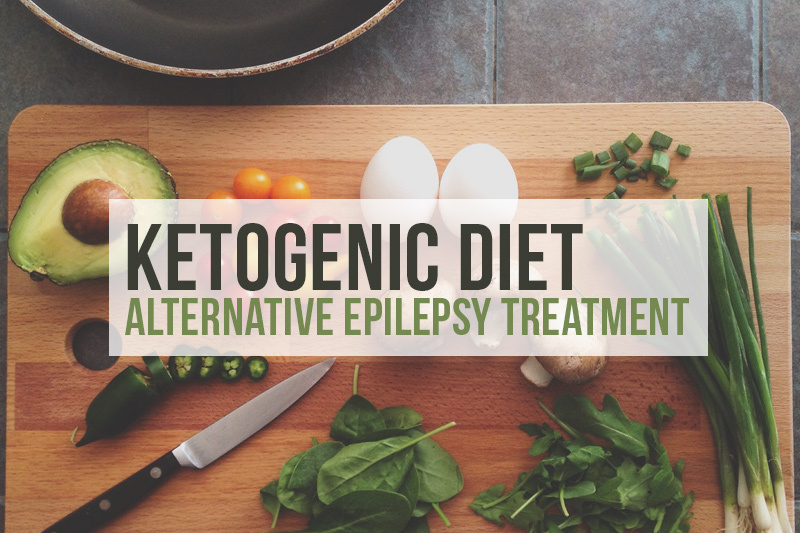 We began the ketogenic diet to treat epilepsy in August 2014 through Johns Hopkins Hospital with immediate success. Eli has been seizure free for three years now. He has been medication free for over two years. He weaned off the diet after two years and remains seizure free a year after the diet ended! My inner mommy doctor tells me that the ketogenic diet gave Eli’s brain some space to heal more completely from the two surgeries. They are not sure why it worked and it does not work for the majority of people, but they have found that many reduce meds, reduce seizures, reduce intensity of seizures, or gain more cognitive skills on the diet. It is not usually something that people stay on forever with the hope that two years will be sufficient. We were lucky it worked immediately and now that he has weaned off he continues to be seizure free. The ketogenic diet is so time consuming and rigid. (There is more media lately about using the ketogenic diet for fitness and weight loss. This fad diet is not the same as the ketogenic diet for epilepsy.) The ketogenic diet is based on the premise that humans use carbs/protein for energy and once that has been used up, the body uses the storage of fat. The keto diet tricks your body into thinking it is starving so fat is what is used for energy. Therefore, the food eaten has very limited carbs and protein and is mostly fat content. So much of our time and energy was focused on the precise calculations to keep the 4:1 fat:protein/carb ratio. Hours upon hours trying to find some appetizing concoctions to give to Eli. Every snack and meal monitored to make sure he ate it correctly, needing to coax him to finish drinking his heavy cream and oil, planning out our days as to not be without food he can eat, bringing our scale and cooler everywhere we go. Food is such a social activity. Never being able to participate normally in celebrations in or out of school was difficult on Eli. When we made alternatives, we knew the food was not very appetizing and Eli was a champion. All the food was gross. It still makes us amazed that he could eat most of what we served. But we also worked really hard to serve a variety and constantly tried new things to find what he liked. And I think he knew he felt better without the daily seizures. In the last two weeks of the wean, we were on vacation with family in Maine. As he sat next to me, I casually placed a french fry on his plate. His eyes lit up, excitedly but questioning. He ate the one fry and the joy on his face was priceless. Over the next several weeks we all had fun slowly introducing normal foods. His favorites were cantaloupe, saltine crackers, and plums. 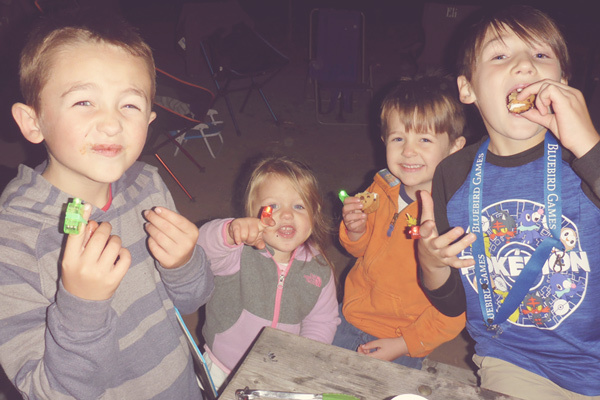 I thought he may never recover from the intoxication of a campfire s’more. He currently has a major pretzel rod habit. For over three years, our family was stressed with his diagnosis of Hypothalamic Hamartoma. Always on edge with unpredictable seizures, the stress of deciding a treatment plan, traveling 1500 miles to connect with experienced doctors, treatment not going as planned, then the meticulous nature of the ketogenic diet. We may continue to have a few academic and social struggles ahead but are confident Eli will persevere. We understand how incredibly lucky we have had it. Although our road to success was not as easy as some, we also know how much more challenging it could have been. We wish all families struggling with HH relief from the constant worry, care, heartbreak, and the unknown. For more information on the ketogenic diet, I recommend The Ketogenic and Modified Atkins Diets: Treatments for Epilepsy and Other Disorders by Dr. Eric Kossoff, Zahava Turner, and Sarah Doerrer. We were lucky to have them as our team at Johns Hopkins as they are the leading doctors and dietitians in the world for the Ketogenic Diet. I would not try this diet without the guidance of your own keto team, as it can be dangerous if not monitored correctly. Also, there are two great support groups on Facebook called "Epilepsy- The Ketogenic Way" and "Ketogenic Parents Rock!" Both of these groups are excellent places to learn about the diet and gain support from others on a similar journey to eliminate seizures. Thank You Angela for sharing Eli’s incredible story! I can only imagine the challenges you had to overcome – but it was obviously worth it!! Has anyone else tried the Keto Diet? Were you successful or not? We would love to share as a community, both the successes and failures, so that we may continue to question the professionals – if not this, then what should we try next?? ?